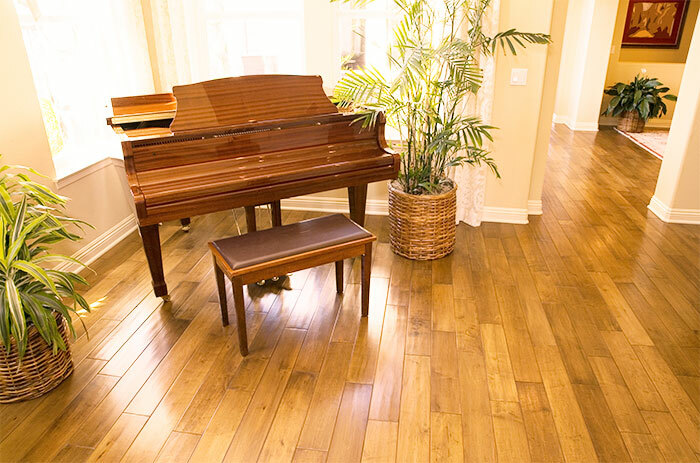 Hardwood flooring is highly desired by many homeowners for the beauty and durability it brings to a home. With options in colors, grain and plank size, this flooring gives any home a modern but cozy upgrade. However, with great investment comes great responsibility. Hardwood floors require maintenance, and you should be familiar with spotting a need for hardwood floor refinishing. Over time, your floor will experience changes in air temperature conditions, as well as endure exposure to dirt or moisture. Constant use and relocation of furniture or objects can scuff, scratch or gouge the surface of your flooring. Even regular foot traffic can remove the shine or wax protection from the boards. Water damage from spilled drinks, leaks or excessive humidity can cause the planking to separate or warp. You may hear or feel these changes when you walk. There will be creaking or squeaking, or you will find dips and humps. If you suspect or notice some of these changes, it is best to call a professional to evaluate the situation. It is important to find spots of considerable damage and have them repaired before any attempts to refinish the floor occurs. Without the proper attention to sections of floor which may be stained, warped or unlevel, hardwood floor refinishing will simply seal in the problems and create more destruction in the long run. Not all hardwood floors can be refinished. Your wooden planks must be at least 1/8 of an inch thick for the refinishing process to be successful. This is because some sanding occurs as a part of the process, and there will need to be enough wooden plank left over to stain and finish. A flooring professional can tell you if the boards are thick enough to refinish. 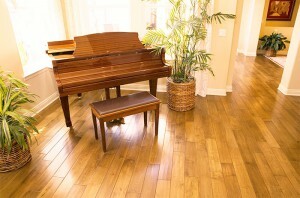 CT Floor Supply can give you professional advice on how to restore the shine to your flooring. Trust their experience and professionalism, and contact them for your hardwood floor refinishing.